Paper Bag with Flower Printing made by white kraft paper 110-120gsm, we use felxible printing to bring the healthy life. Plain cheap brown kraft Paper bags with standard export carton, we promise the time of delivery and keep a close concern with you. Our products have strict production quality control, advanced machines equipment, to make sure finish goods. 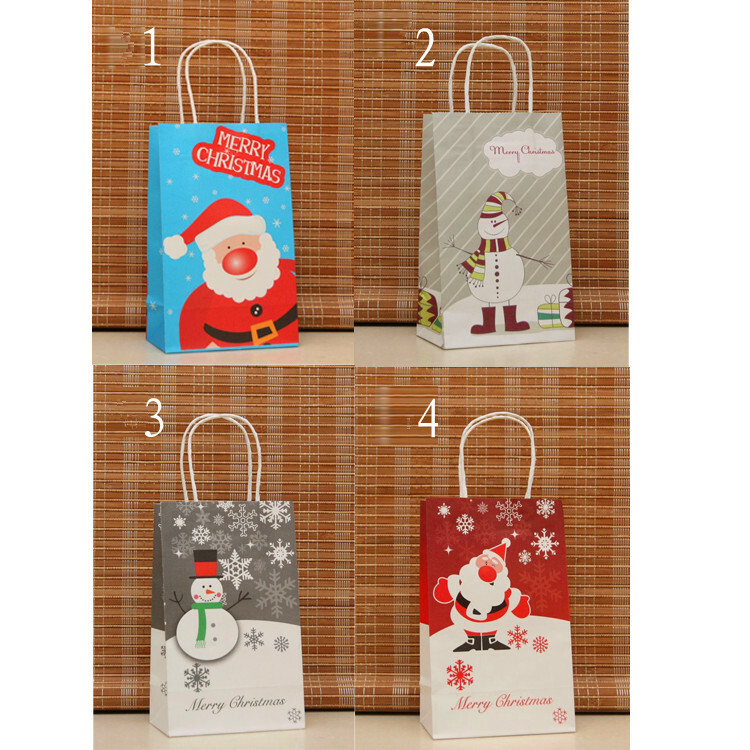 Paper bags can be printed different design, used for holiday, gift, or ereryday use. Packing style: Polybag & Header card, polybag; bulk packing or depends on customer specific inquiry. Looking for ideal Paper Bag with Flower Printing Manufacturer & supplier ? We have a wide selection at great prices to help you get creative. All the Paper Bag with Handle are quality guaranteed. We are China Origin Factory of White Kraft Paper Bag with Printing. If you have any question, please feel free to contact us.